It was the toy soldiers who made me understand that war must be abolished and that the only proper way to do it is to play war. Play not to war; toy soldiers against soldiers. Claudio Magris is a central figure when talking about Italian contemporary literature, and a name often mentioned in connection with the Nobel Prize. In the genre-mixing novels, stories and essays, he has since the 1960s explored the floating boundaries between countries and cultures in Europe, with a particular eye on how the Second World War has affected the area. Magris is one of Italy’s leading experts in German-language literature and Central European culture. His perhaps best known work, the Danube, follows the river Danube as a central hub through Europe and examines the mythology and history of the landscape. Prosecution waived , recently translated by Tommy Watz, takes place in Trieste, a border area that was a separate occupation area during the war. Here a museum is being built that will exhibit war material to promote peace. At the same time, Luisa, who is employed by the museum, tells the story of his family: about the grandmother who silenced other Jews, the mother who grew up without parents, and the father who came to Italy as an African-American soldier. Now Magris comes to the Literature House to talk to author and literary professor Tore Rem about European identity, responsibility and the prerequisites for peace. 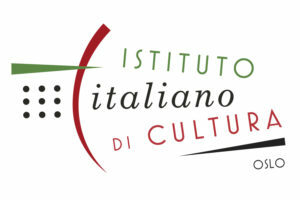 The conversation takes place in English and is arranged with support from the Italian Cultural Institute in Oslo.